Netball NI are pleased to confirm that the first Teachers Umpire Award of the 2018-19 season will be hosted by Strathearn School, Belfast on the following date:24th August 2018 from 11.00-13.00If you are interested in attending this course please complete and return the form found below to Tom via e.. Following a recent recruitment process, Netball NI are delighted to welcome Helen Stirling (nee Hamilton) to the Board of Directors.Helen brings a Master’s degree in HR Management and over 10 years’ experience in the private sector. 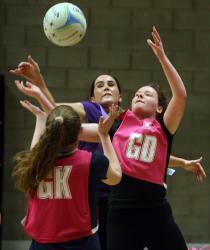 Her involvement in netball as a player for over 2..
Netball Summer Camps OPEN FOR REGISTRATION ! !Additional Belfast venue added!!! 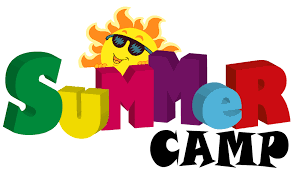 !This summer we are hosting a number of Netball Fun Camps across Antrim, Belfast, Newtownabbey, Holywood, Portadown and Lisburn for ages 7 - 14 years old , with fantastic coaches and lots of fun games and skills to le..
Netball NI are pleased to confirm that the second UKCC Level 1 course of the 2018-19 season will be at Banbridge Leisure Centre on the following dates:15th Sep 2018 - part one29-30th Sep 2018 - part twoCandidates should be prepared for full days on each day e.g. 09.00-17.00If you are interested in a.. The newly formed Officiating Working Group (OWG) met last night at the Netball NI office to discuss and agree on key tasks needed to improve and develop the officiating system ahead of the 2018-19 season.The tasks that the group will be involved in or will be working on are as follows:Umpire Liaison..
Netball Northern Ireland are delighted that the following 16 netballers have been selected to represent Northern Ireland at the upcoming UK School Games in Loughborough, England from 30 August – 2 September 2018:Alex WatsonLisburn AcademyCaitlin CunninghamLisburn AcademyEllie ReaMagherafelt Ac.. 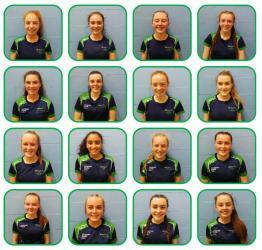 Following on from the successful partnerships Netball NI have established with Belfast City Council and Antrim and Newtownabbey Borough Council for the Sport NI funded Everybody Active 2020 programmes, we are delighted to be recruiting for a part time Everybody Active 2020 Netball Coach in the Ards ..
Netball Northern Ireland is advertising for the following positions to work with netballers across the Northern Ireland talent pathway.These are fixed term contracts (duration noted below) with possibility of extension.Name of SquadAge GroupRole Training LocationDuration of ContractRate of PayN..
Netball UK to be official retail partner of Netball Northern IrelandNetball NI, the governing body for netball in Northern Ireland, is coming together with the sport’s leading online retailer Netball UK for an exciting new partnership.Netball UK, the one-stop shop for everything netball, will ..
GILFORD SUMMER LEAGUE - TEAM / GROUP entry ONLYWED 13,20,27 June, 4,18,25 July 2018 ( no games 11th July centre closed)7-9pm £12 per person ( subsidised cost) Gilford Community Centre - https://getactiveabc.com/facility/gilford-community-centre/#Contact-Form Social summer league..